Welcome to Fourth Grade General Music! In Fourth Grade Music, we love our Orff instruments! 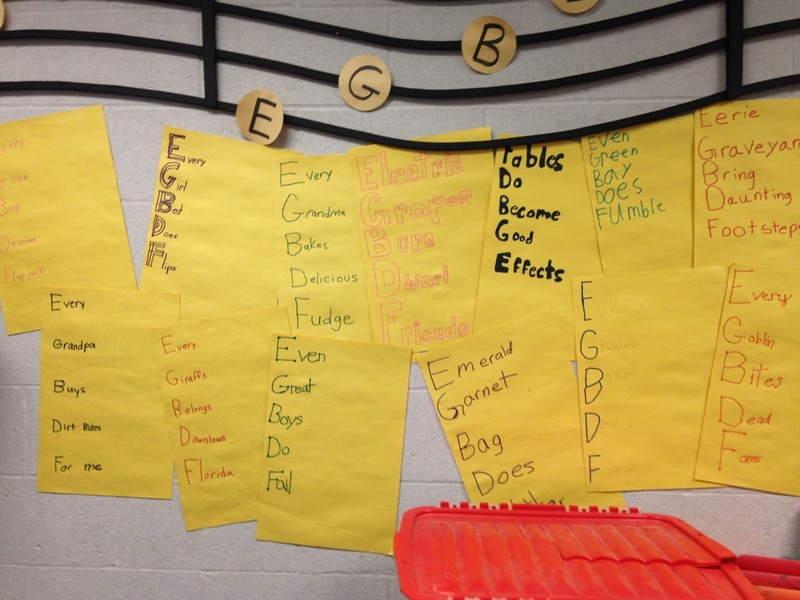 Creative and original acronyms for the 5 lines of the Treble Clef. These are keepers!